Happy Tuesday everyone! Things are moving right along with the progress of moving my mom into her new home. You may have had a chance to see a few sneak peeks here. I wanted to share a fun tip with you that I used for my girls’ room at her house. Their bedroom color palette is hot pink, navy & white. For my mom’s Christmas gift this year, I had photos done of the girls in coordinating outfits and framed them in acrylic with Shutterfly. I love how the frames appear to just float on the wall. Both of my girls love to dance so the tutus were a natural choice for this fun photo shoot with James Edward. I chose to have them shot on a solid white background so the photos would really pop against the walls painted in Benjamin Moore’s Symphony Blue. It’s somewhere between a navy & a cobalt blue & it’s the perfect blue for this scheme. 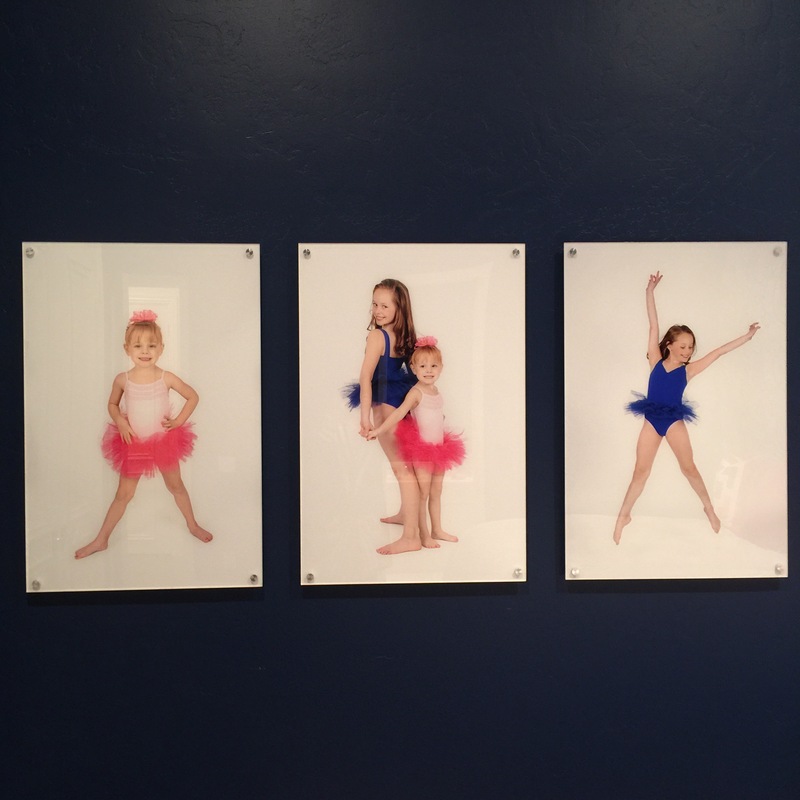 With a little planning & coordinating, you too can turn your family photos into artwork for your home. Stay tuned for more sneak peeks! The draperies are going in this Thursday! Follow the fun on instagram @designershay & @ibbdesign.